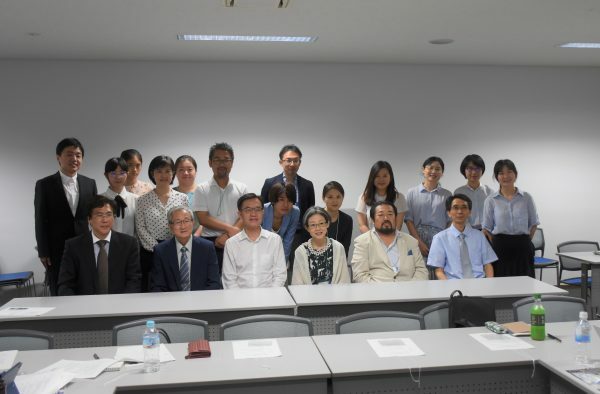 From July 19 to 25, the 2018 University of Tokyo-Tsinghua University Joint Symposium was held in the University of Tokyo. As an important component of this, the International Initiative in Information Studies/Graduate School of Interdisciplinary Information Studies (III/GSII) co-hosted a joint plenary session of the “Public safety and Media Workshop” with the Institute of Industrial Science on July 24 and 25. 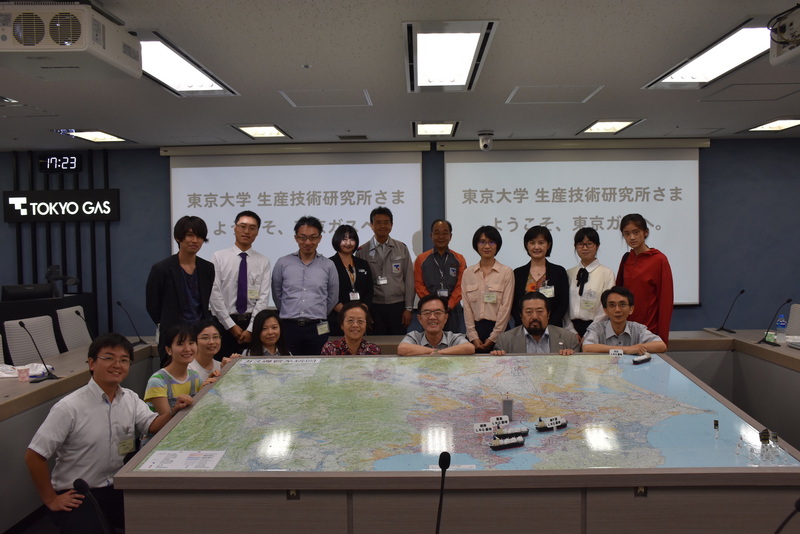 Faculty members and graduate students from the Institute of Public Safety Research and the School of Journalism and Communication of Tsinghua university joined in this workshop and following activities, engaging in discussion with UTokyo researchers and students from related fields. On July 24, the plenary session of the “Public Safety and Media Workshop” took place at Komaba Campus. 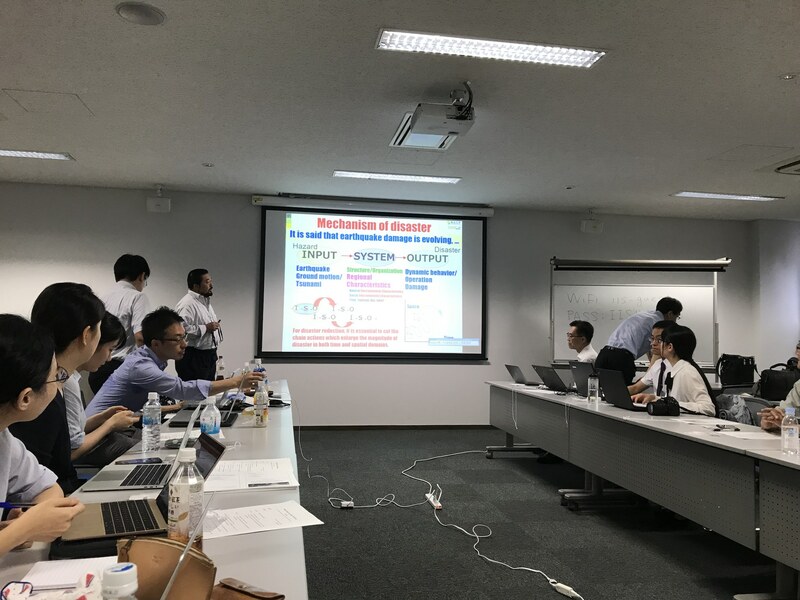 This workshop featured presentations by UTokyo and Tsinghua researchers in the fields of public policy, disaster management, engineering, and risk communication. Professor Hayashi Kaori, the Chair of the ITASIA Program at UTokyo, hosted this activity. 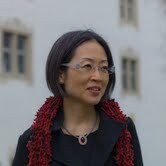 At the beginning of the plenary session, professor Kimiro Meguro, the Director of the International Center for Urban Safety Engineering at UTokyo, started with a lecture on “Comprehensive Disaster Management Systems and the Role of the Media – Lessons Learned from the 2011 Great East-Japan Earthquake and Tsunami Disaster”. This was followed by two keynote speeches: “An Earthquake Reporting Perspective on Media Responsibility in Disaster Reporting” by professor Cui Baoguo from the School of Journalism and Communication of Tsinghua University, and “Thinking on Resilient City Construction in China under Rapid Urbanization” by professor Huang Hong from the Institute of Public Safety Research of Tsinghua University. After that, ten doctoral students and researchers from different academic disciplines were invited to give keynote speeches around the theme of “Media, Risk, and Safety”. 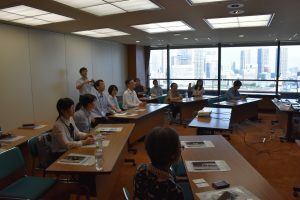 In the afternoon, the workshop participants visited the Asahi press headquarters in Tokyo, where experience was shared on disaster reporting, online news coverage, and the Media Lab operation. 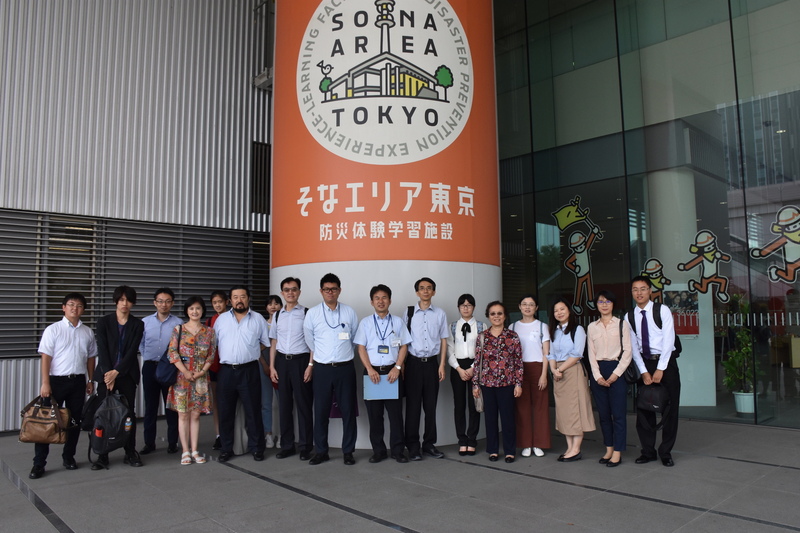 On July 25, the participants paid a visit to the Tokyo Rinkai Disaster Prevention Park in Ariake, Koto-ku. This park acts as a central base of operations for disaster prevention in the Tokyo Metropolitan Area in the event of a large-scale disaster, such as an earthquake centered below Tokyo. The participants received a brief introduction about this operation base and experienced earthquake simulation, deepening their understanding of disaster prevention and disaster education. 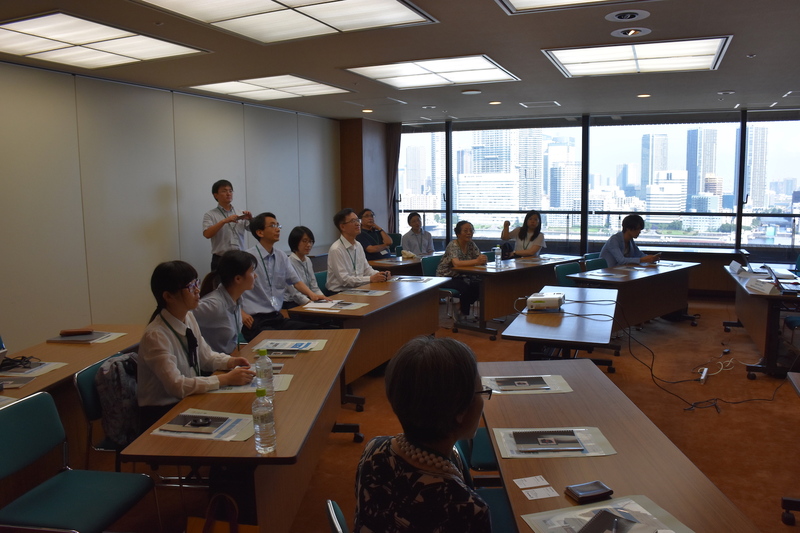 After that, they toured the headquarters of Tokyo Gas, where they learned about the gas supply security system as well as disaster prevention and mitigation measures. 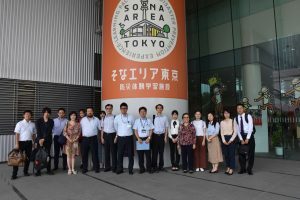 This academic exchange has strengthened collaborative ties in multi-disciplinary disaster management research and education between Japan and China. We are looking forward to further collaboration between the two universities and the two countries.